Bumping this newer video over to this page. 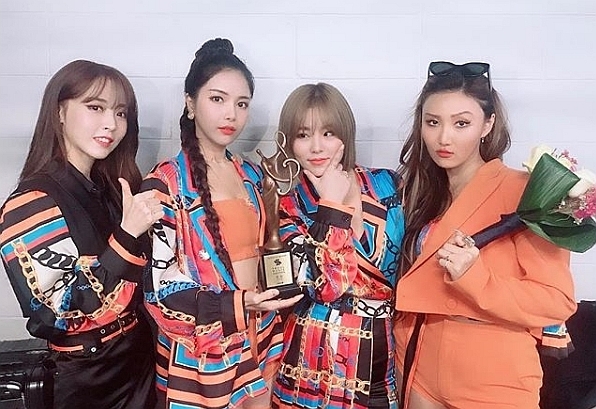 Edit: noticed I had already posted Mamamoo's performances from Mnet Asian Music Awards show.. they won the 'Global Fans Favorite award and Favorite Vocalist award. Mnet posted this thank you from them. Another new song from their album BLUES - "Better Than I Thought"
A fun ASMR video from MAMAMOO. You really don't need to understand Korean to laugh at this. Once again Mamamoo their live performance full of lyric changes and ad libs. Such great live performers. No one does this like Mamamoo. Wheein was sitting because of a recent ankle sprain. Solar was calling out names of the V.I.P in the front section within the song lyrics. 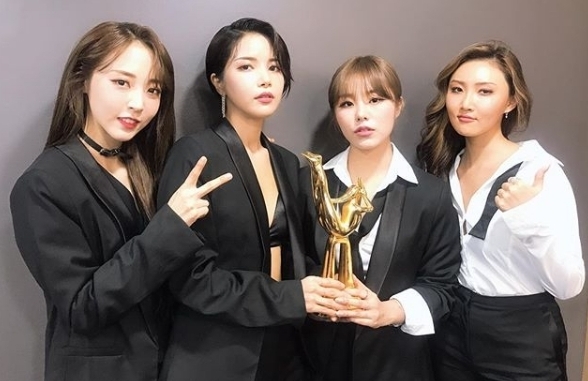 They also wrote the song ( Solar, Moonbyul , Hwas Sa ) Mamamoo contributes directly to their music and concepts and choreography. This video is very well produced and great effects . Wheein and Hwasa playing both the Male and Female characters. If you have time, wanna get some tea? Is she his girlfriend or just a friend? 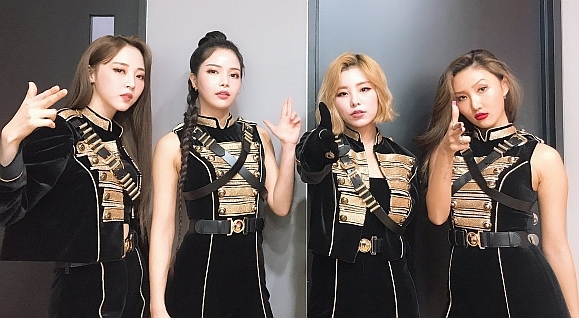 Mamamoo performed "Paintme" + "Wind Flower" + "Starry Night" + "Egotistic" live in 2018 MBC Gayo Daejejun, held at MBC Dream Center on December 31, 2018. Solar with a new look , shorter hair or maybe just no hair extensions, Either way looks nice. Bonsang Awards (Main Prize) is awarded to up to 12 artists by calculating album and digital sales with online vote and a final judgement by the judges of the award ceremony. Artist of the year of Song of the year is then chosen from within those up to 12 artists. I will post videos once they are uploaded from official sources since too many are now being deleted for copyright and hard to keep up on editing. video not official and audio not so great. Will replace when official videos become available. Wheein still nursing a injured leg. One thing I just recently found out is that Mamamoo had preformed at SXSW in Belmont California 3 years ago. Wow such a very underrated group and sure not very well publicized. At 3 years ago it should have been huge news. Solar is currently on a show called Chart Star. I honestly don't know a lot about the program. It appears that the guest artists are given a previous hit song by another artist and they do a cover song of it. I think the panel then votes whether they continue or not. Here are a couple videos of Solar performing on the show.